← What If We All Had A Ferguson Prosecutor? Too much chatter creates a danger that learners cannot separate the wheat from the chaff. A study showed, for instance, that viewers of Fox News Corporation were less informed on news issues than people who don’t even watch the news. This is because of the active disinformation. Its important to read George Orwell’s “1984” with America in mind, and consider Aldous Huxley’s statement: “The worst thing that happened to literature is the price of newsprint going down.” Thus, with the Internet, any old person (including me) can put forth their blah blah blah… but that doesn’t mean it will advance the community to a better place. Darren Wilson killed Mike Brown, a teenager. It is not disputed. Mike Brown was unarmed. It is not disputed. The list of all the damning facts against Darren Wilson are long, all of which would go to a normal grand jury. His indictment on murder or manslaughter would be easy for any law student to procure. The only question the jurors have to answer at this preliminary stage is if there might be a crime, if there is “probable cause” to proceed with a trial. Foreign nations are condemning our human rights record. Some of us are awaiting the federal government’s action, as they can still indict Wilson on federal charges just as they do to some drug case defendants who avoid state prosecution. Did Eric Holder submit his resignation because of a dispute over this case? He is still the Attorney General, and he appeared to be ready to prosecute. It is amazing how some people can’t separate the skin tone of Obama, Holder, Wilson, and Brown from two facts: Darren Wilson shot Mike Brown. Mike Brown was unarmed. This entry was posted in Actions, Commentary, Police, Race and tagged Bar Complaint, Catholic Church, civil rights, Darren Wilson, ethics, Ferguson, Grand jury, Indictment, police brutality, prosecutor, Robert McCulloch. Bookmark the permalink. 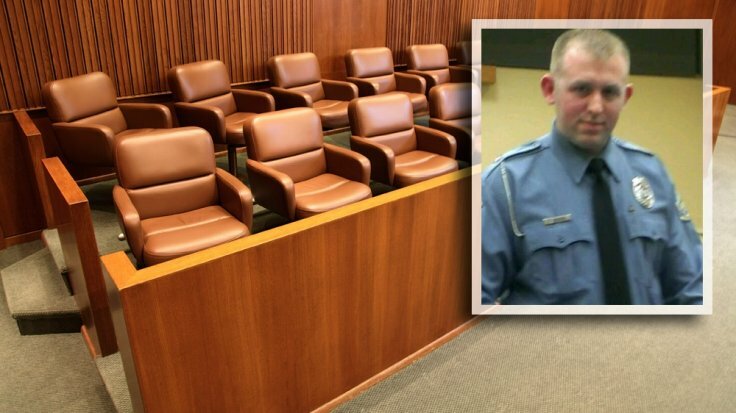 1 Response to What if we all had a Ferguson prosecutor?